Bell HAI Product Presentation. 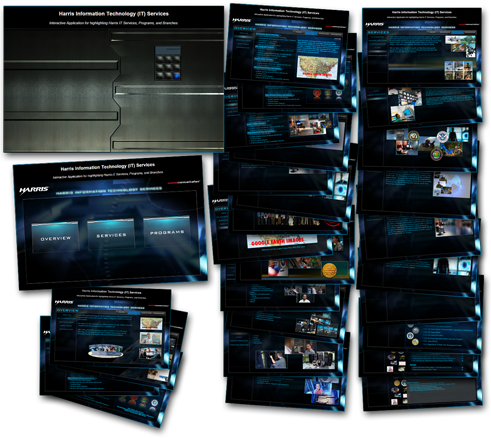 This presentation was created to be an interactive presentation that was handed out on a USB thumbdrive at the 2011 HAI tradeshow. 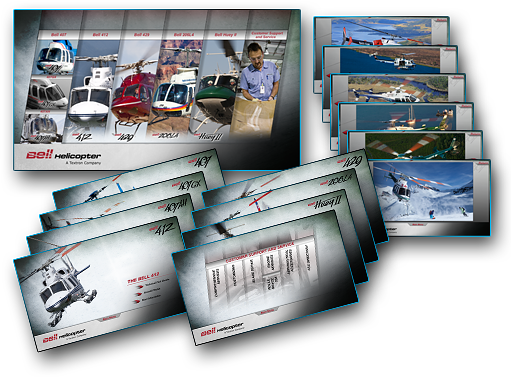 This interactive piece showcased key aircraft photos and detailed information that was presented in PDFs launched from within the presentation into a browser window. This piece was also MAC/PC compatible. Harris Avionics presentation. 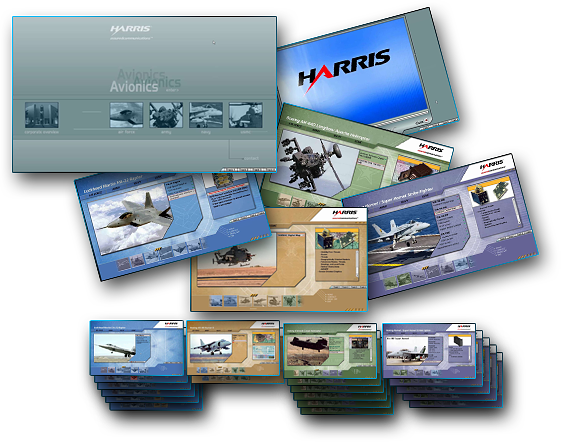 This interactive piece was created to highlight Harris' communication products integrated into various aircraft throughout all the military branches; Air Force, Army, Navy, Marines and International. Ford Accessories presentation. 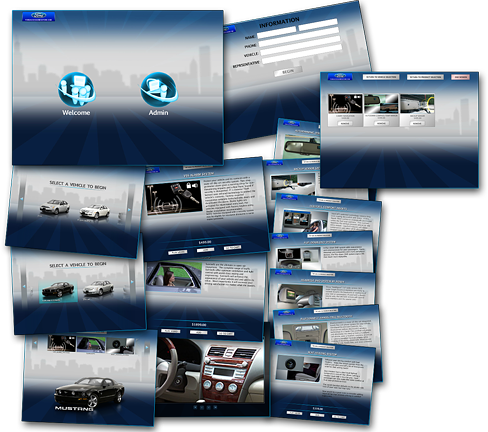 This piece was an example created for a potential aftermarket accessories 'store' to be used in dealerships for potential purchase of accessories during the vehicle buying process. Harris IT presentation. 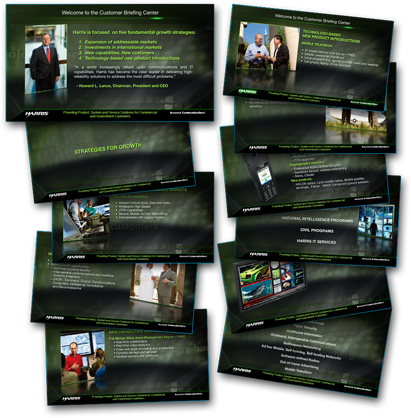 Created for Harris' IT department to showcase its services and capabilities. Harris Customer Center presentation. Displayed in the Harris Customer Center, this presentation looped information found in Harris' Annual Report. © Copyright lomychiv.com. All Rights Reserved.